Undoubtedly, Data Entry Online Jobs are highly desirable. Undoubtedly, Data Entry Online Jobs are highly desirable because there is no need for job seekers to be highly proficient in technological skills. Given the high demand for Data Entry Online Jobs, it is not surprising that there are many scams. With this in mind, it is important to guard against scammers. Despite the fact that these are essential skills to have, you can still get by with Data Entry Online Jobs without some above requirements. Whilst these types of job don’t pay as much they may not be available sometimes. Nevertheless, if there are jobs that promise you a high pay without any of the above skills, then stay far from them. No doubt, they are scams. Having considered some negatives, it is also reasonable to look at some legitimate ways to do Data Entry Online Jobs. Are you a great listener? Do you know medical terminology? A Medical Transcription Job is one of the most popular Data Entry Online Job. Notably, for this job you listen, interpret medical texts, and convert them to text. 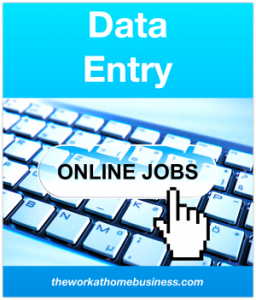 Generally, this data entry job pays a higher rate than many other data entry jobs. However it requires meticulous reading from images, even with long texts. Overall, this job includes listening on the phone and typing what you hear. In this case, a doctor dictates information about the patient directly to you, or you transcribe what you hear from an audio. As the name implies, it certainly will contain medical terminology. Remember, accuracy is most important. Specifically, you can use Google Docs for example and convert an image file into an editable document. For an illustration, watch this video. Similarly, you can also convert an image to MS Word with the use of a software. The software is usually a text recognition software and can recognize different image formats. However the result may not be as precise, so doing it manually is probably better. In like manner, the software can also compromise private data. Thankfully, there is a usage restriction from companies that offer this type of job. This job is for those who have excellent grammar skills. You are required to read, find grammatical errors and correct them. Errors include use of punctuation. Are you an excellent communicator? Can you write short catchy slogans for a product? Ideally, you can earn money just to write sweet catchy jingles. Many companies like these for advertisement and headings for articles. On the other hand, others like them for greeting cards, stickers for car bumpers, birthday cards. For this job, you listen to an audio recording and replace the content in text format. For instance, you can get audio interviews or lectures to convert into text format. For this job you need to be a keen listener, understands different accents, and can type details quickly and accurately. Watch the short video for an illustration. The most significant work from home in data entry is typing. Notably, this job incorporates typing from documents that are written by hand or in the form of a PDF. Usually, you are paid for each page of typing or whatever agreement upon signing. A key aspect to bear in mind is your ability to type fast with great accuracy. Your pay is tied to this. The speed of preference falls between 55 – 60 words per minute. Chiefly, the typing task is in English, but if you have to type in another language your pay may be higher. Have you ever thought about doing Captcha work? This is certainly a nice way to work from home and earn. Of course there are many websites that offer Captcha work opportunities. To be sure, you need to check that they are legitimate, or else you may just miss out on your pay after doing the job. Bear in mind that your earnings is not as much, but it is easy and you will enjoy what you do. A software is used for the job. After you login, you need to type the Captcha images correctly to get payment. If you can spend two or three hours each day, you can actually earn some money. To point out, no experience is needed, neither any technological skills. All you have to do is type what is shown. This task is just as it says, you copy information from one document and paste it to another. For example you could copy from a word document to an excel document and vice versa. As long as you can get around computer basics, that is experience enough for this job. In truth, it takes time to complete each task, and the job can bore you. Bear in mind that you will have a specific time frame to complete a task. Surely, this is where your typing skill comes in handy. It is however, important to note the limitations of Copy and Paste jobs. These are not numerous, so they don’t come by easily. In case this is your interest, you need to spend enough time researching for possibilities. Then again, when you come across these jobs, remember to do a thorough check of the company’s reputation. In particular, micro jobs focus on all types of temporary tasks. The approach to find these jobs often includes internet search where you can do a booking. Accordingly, these short term jobs may be online or in person. For instance, virtual assistants, website designs, blog writing, nanny care, dog boarding, run errands and handyman. Of course, there are many other tasks. For one thing, payment varies and this depends on the task and the fee you may have to pay to the owner of the website. Accordingly, the market research data is then passed on to the companies. I imagine that there will always be surveys to do because there are so many products on the market. Nonetheless, giving your feedback on products, doesn’t pay much and there are better ways to earn money online. In case you want to know my #1 recommendation to earn from home, go here. To point out, you can sign up with different websites to increase your chance of completing more surveys. A key point to note is that payment can be in the form of gift vouchers or cash. One company that you can join is ClixSense. They provide different platforms for you to do surveys and they pay cash. This company also provide other means for you to earn. You can check them out here. For this job you create a payroll list for different companies. You type all essential information in excel spreadsheet or in the company’s database. Information includes names of employees, their address, their salary and all the basics. Generally, companies have inventory to do, and they need to keep their catalog up to date. For this job, you work in Excel and create an inventory list or you use the company’s database. Generally, this job entails filling in specific information on forms. You will be given the raw details to fill in specific fields. Even though it may seem easy to do, you have to be 100% correct, or risk reduced pay or none at all. Payment can be for each form or for each order. It certainly sound like if have the basic and somewhat intermediate level of computer skills, you can succeed at one of these jobs. Pointing out what the scammer do was effective and informative. These jobs you highlighted could be a resourceful way for retirees to make extra cash. Very informative and detailed. An enjoy to read. Thanks for visiting and good to know you enjoyed the read. With regards to the computer skills, the typing speed and accuracy are very important. The suggested jobs are definitely great for retirees to earn some extra cash from home.